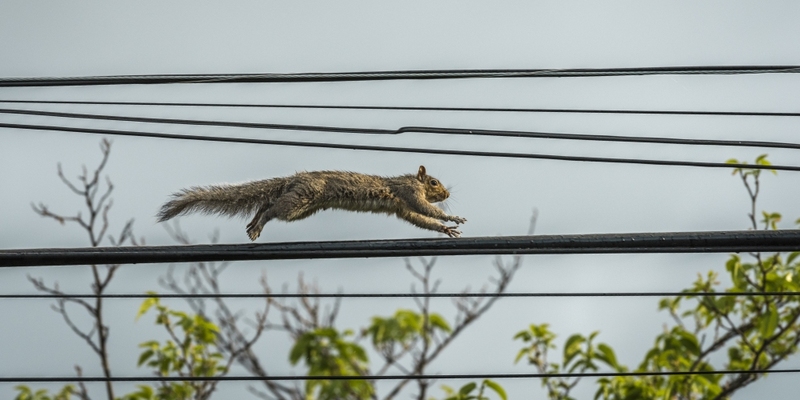 A squirrel disrupted businesses and traffic patterns in Hermitage, Pennsylvania, a town of about 16,000 residents just east of the Pennsylvania-Ohio border, yesterday afternoon. The critter got into a substation and shorted the system, knocking out power for more than 2,000 customers in Hermitage and neighboring Sharon, according to Penn Power. As many utility companies have found out, it’s difficult to keep small animals and snakes from getting into substations and coming into contact with equipment. In fact, last month, a raccoon cause a power outage when it damaged a substation in Sharon during the overnight hours. Fortunately, power was restored within about two hours, but even the short outage kept police busy directing traffic, with only limited generators available for traffic lights, according to Police Chief Eric Jewell. Generators can help businesses keep some systems running and are particularly useful for the food service industry where outages can result in spoilage. But, even generators aren’t enough to protect businesses’ technology from being damaged by outages. Electrical surges are common just before power goes out and as it’s restored. Those surges can short out circuits in the systems businesses depend on for their operations and result in extended down time as servers, switches, routers, firewalls or other equipment is repaired or replaced. The best safety net for businesses that depend on their technology – which includes nearly every business today – is a UPS system that includes power protection to regulate line voltage and negate the impact of spikes and surges. Power protection systems can be configured for any business and sized to fit each one’s unique needs and ensure outages don’t cause more damage than a temporary loss of power.